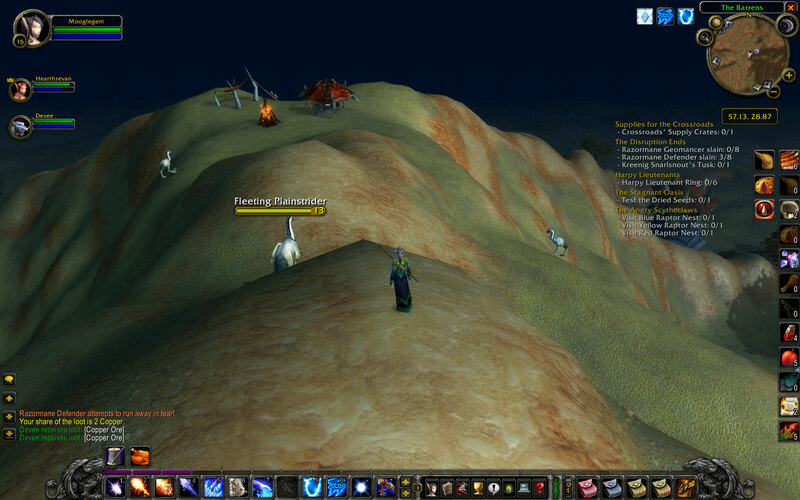 My first day playing WoW was when the game launched. I was living in the dorm. My roommate, Antonio, and suite-mate, Will, also picked it up. I had played the three RTS games, but didn’t finish any of them. I had an idea of some of the story but not a lot, so I spent a while trying to figure out what to play. Antonio decided to play a night elf rogue, so I rolled a night elf as well. I played a lot of Dungeons and Dragons when I was younger, and my preferred class was fighter. In an attempt to capture the same idea, I rolled a warrior. I soon discovered that there wasn’t a good spec that dual-wielded, and that was the image I had in my mind. Anyways, the game was pretty amazing. Everything looked awesome. I suppose it’s a good thing that I started in such a beautiful zone. If I had started in Mulgore, maybe I would have thought the game was ugly. You can’t think that starting in Teldrassil! If you’ll allow me to talk about the first few weeks of playing rather than just the first day, I remember being overwhelmed by the scale of the Teldrassil once I left it. Southshore was eerie and cool. Eventually I made the long, daunting trek to the Eastern Kingdoms to visit Ironforge, my favorite city to this day. It took a long time to get there, and it was hard to decide whether to set my heart there or set it where I was questing. However, I stayed in Kalimdor, questing through Ashenvale. 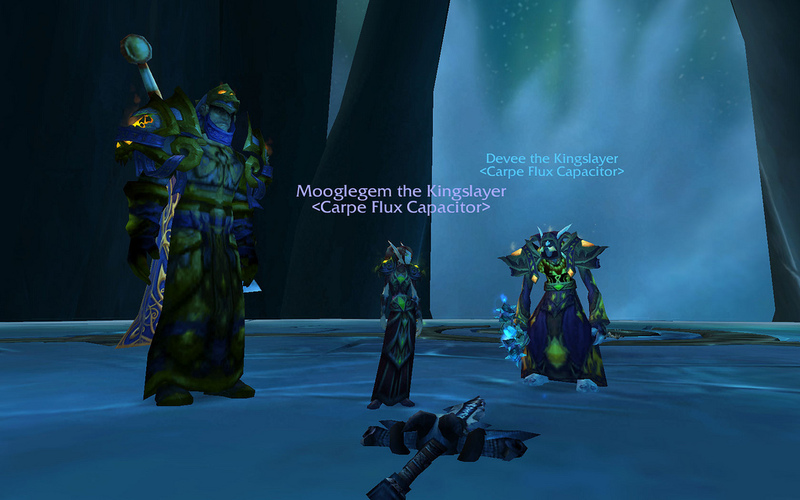 It was particularly odd seeing it again later from the Horde perspective. Eventually I rolled a Horde hunter on the same server, later switched to a Horde hunter on a PVP server, tried a tauren shaman, and settled on my troll priest. Blog. B-lawg. Buhlau-gh. This is such a weird word! It’s kind of clumsy with the the “Bl” in the beginning and the “og” at the end. I imagine that if a blog were to move around, it would move around by plopping. The letter ‘g’ doesn’t occur in Thalassian very often… so I think it might be considered an ugly word, but that’s why I like it! Devee asked me to put down my thoughts in this console-thing to share with other people. The idea seemed kind of weird, but he was so gung-ho about it that I couldn’t say no. Since then, I’ve learned a lot about all kinds of things! I especially like the people who blog about food. Mmm!! I’ve enjoyed blogging for a while but didn’t have a great place to write about WoW. I’ve had a website since elementary school, although it’s drifted from Geocities, to being hosted locally, to being commercially hosted. It was a never a blog but rather a location to store funny things and ideas mostly. In 2000 my site was renamed “WebPageless.” Shortly afterward I started the “Fuzzy Journal” as a parody of Live Journal because I disliked the idea of LJ. My opinion changed and that became the focus of my site. At that time I was coding everything by hand. In 2004 I upgrade to Movable Type, and that was the start of the “modern” WebPageless. In fact, I’ve lost most of the older content. Now I try to stay away from boring journal posts unless I did something interesting, but I still love writing. How does this relate to this site? 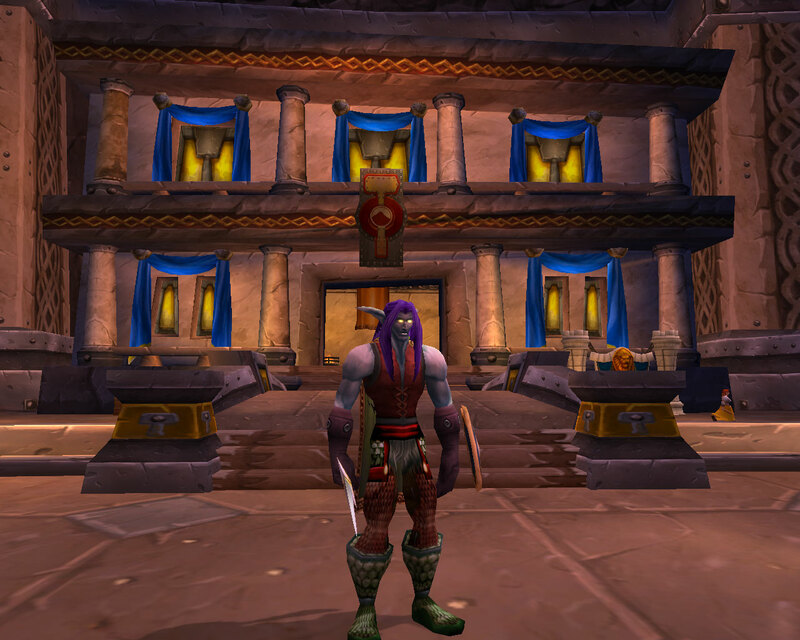 I wanted to share a ton of WoW screenshots, but it didn’t really seem to fit with WebPageless. Sure, WebPageless was already without focus, but I didn’t want to overrun it with screenshots, so I created a separate site using Movable Type. It was a flawed system, especially since I wanted to let guildies use it without logging into the actual site and being able to mess with it. I came up a zany approach using lots of e-mail forwarding and Flickr. Each person had their own e-mail address to which they’d e-mail screenshots. This would get autoforwarded to Flickr. Flickr used the Movable Type plugin to automatically post to the blog, and because each person had his or her own e-mail address, the blog would know who was posting it. But what if I wanted to talk about things without posting screenshots? It seemed like I talked about World of Warcraft enough to make a completely separate blog, so that’s what I did. I was hoping that Mooglegem would post a lot too, but that’s rare! Anyways, that’s how Kor’kron 501st was born! Hi everyone! I don’t usually talk about myself like this, but I guess that’s what this challenge is all about! My name is Mooglegem – my parents were planning to name me something normal like Theresa or Regina, but after my mom’s first drunken night on the town since my conception, it was decided – my name is Mooglegem. I love dogs! Growing up in Silvermoon made me feel like I had to be a cat lover. Sure, they’re soft and cuddly… until you cuddle them too much and they start biting you and your eyes start swelling up and your skin gets red and bumpy. I might be the only Blood Elf who is allergic to cats. Anyway, I love dogs! They’re so friendly! I actually love all kinds of animals – the larger, the better. I considered studying to be an animal keeper, but my parents were repulsed by the idea of me smelling of animal musk and cleaning up poop. I excelled with the arcane arts, so I studied magery instead. … and now you know all about me! Yay!